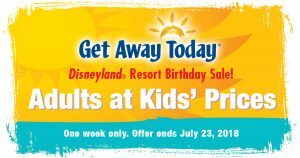 When ever you’re planning to go to Disneyland this year, my friends at Get Away Today have you covered! We talked last month about the new Star Wars: Galaxy’s Edge area going in. That’s going to be a popular area this year. There are several ways that you can save with Get Away Today currently. And these ways will get you super deals throughout the rest of the year. That way you can check out everything that’s new this year! Make sure to use my links or my code, BookaDay to save even more on your fun trip to Disneyland! In addition to my great love of books, I also have a great love for Disney. 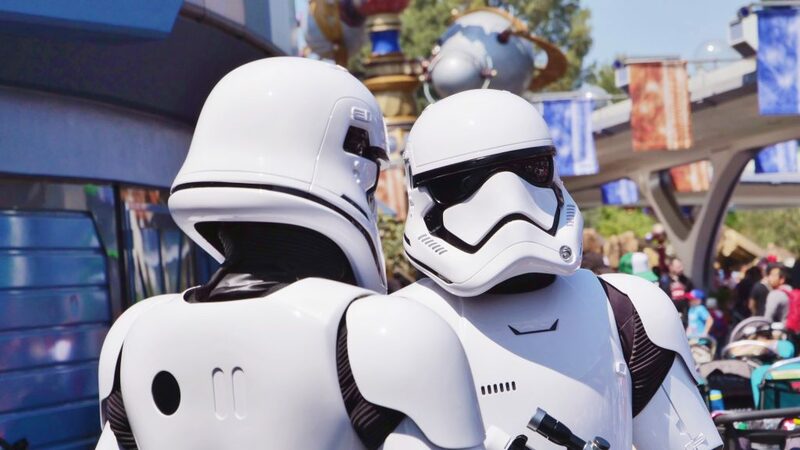 Last month I had my partners at Get Away Today help me share why a Disney Cruise is worth taking, and this month they are going to give us all they know about the new Star Wars land at Disneyland! It is officially known as Star Wars: Galaxy’s Edge, and the official opening date will be May 31, 2019. Yay! Here is what we know about Star Wars: Galaxy’s Edge. It is the largest single theme expansion in Disneyland history! At 14 acres, it truly is huge. It was always Walt Disney’s dream that Disneyland would evolve and grow and always present new experiences to guests. His favorite stories, and our own, come to life in Disneyland and Star Wars: Galaxy’s Edge is no different. We also know the reason it’s called Star Wars: Galaxy’s Edge is because it is a place that exists at the edge of the galaxy; when guests enter they will find themselves on Batuu. Batuu is a planet at the farthest edge of the galaxy, on the cusp of Wild Space. For a sneak peek at Star Wars: Galaxy’s Edge, take a ride on Star Tours: The Adventures Continue. Your last stop on the ride takes you there! In true Disney fashion, more information has been released about the food at Star Wars: Galaxy’s Edge than anything else so far. We all know that eating is one of the main attractions in the Resort, so I’m looking forward to all the food Star Wars: Galaxy’s Edge will have to offer! Docking Bay 7 Food and Cargo – Chef Strono “Cookie” Tuggs will be operating a traveling diner, much like our galaxy’s version of a food truck, in the Docking Bay 7 hangar. Chef Tuggs is known for being the chef at Maz Kanata’s castle, and he will be serving up all sorts of exotic flavors that he has perfected from his travels. Tuggs’ Grub is a fast, casual dining experience at Star Wars: Galaxy’s Edge. Ronto Roasters – Skewered meats will be cooked to perfection on spits, monitored by former smelter droid 8D-J8. Milk Stand – The milk doesn’t get fresher than from Bubo Wamba Family Farms! At the Milk Stand you will find their refreshing milk in both blue and green. Kat Saka’s Kettle – for a tasty snack, visit Kat Saka’s Kettle in Star Wars: Galaxy’s Edge. Here you will find a combination of sweet, savory and spicy kettle corn to tide you over while you explore Galaxy’s Edge. One thing the experts at Get Away Today recently learned is that two specific dishes in Galaxy’s Edge will be a vegetarian meatloaf called Ithorian Garden Loaf and the other Smoked Kadu Ribs. Look for these at vendors in Star Wars: Galaxy’s Edge. Galaxy’s Edge will have two new attractions for guests on Batuu, and if you download the free Play Disney Parks app, you will have a much more immersive experience. It will give you games and tips for interacting with the new Star Wars land and its cast members. The more you interact as a guest, the more you will receive in return! It’s meant to be an immersive experience, for sure. Since you have traveled to a galaxy far, far away, you will most likely want to leave with a few souvenirs! Afterall, it’s not every day that you’re able to visit the edge of the galaxy. There will be a number of merchandise outposts in Star War: Galaxy’s Edge. Dok-Ondar’s Den of Antiquities – find trinkets and valuables from Dok-Ondar, who has traveled the galaxies far and wide. Savi’s Workshop of Hand Built Lightsabers – Master guides from The Gatherers group are here in Savi’s Workshop to help you create your very own lightsaber! Learn how to use the Force as an honorary member of the Gatherer’s at this outpost. Droid Depot – As you know, a droid can be the perfect companion as you travel through the galaxy. Here at the Droid Depot you can make your own, and take him or her with you as you continue to explore Galaxy’s Edge. First Order Cargo – This outpost is your stop if you’re looking for authentic apparel. First Order Cargo is a temporary holding space for members of the First Order to share their gear, uniforms and more with guests of Star Wars: Galaxy’s Edge. Resistance Supply – Join the Resistance! Or, at least look the part by stopping by this outpost for supplies. At Resistance Supply you will find uniforms, pins, badges, helmets, maps, tools and more to help you blend in. While I wish we had the exact opening date from Disney for Star Wars: Galaxy’s Edge, we know it is coming any day now! 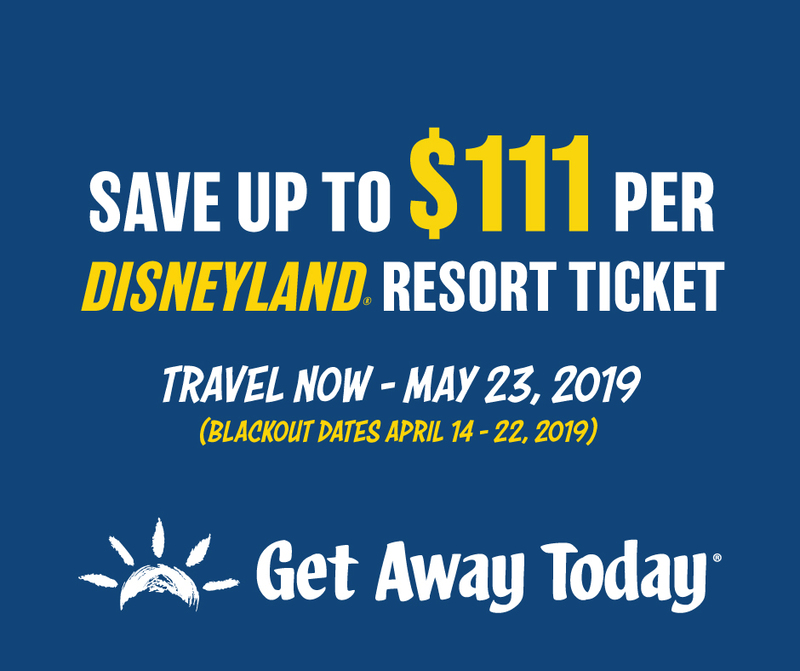 If you simply can’t wait to travel to Disneyland, take advantage of the spring savings special with Get Away Today for travel now until May 23, 2019. Doing so can save you up to $111 per ticket! If you’d rather wait and guarantee access to Star Wars: Galaxy’s Edge later in the year, you can still book with Get Away Today now. 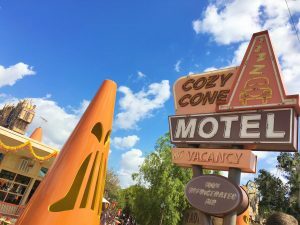 There’s no penalty for booking early, and it’s definitely recommended so you can be sure to have accommodations before rooms at hotels near Disneyland are all booked. You can take advantage of their incredibly flexible Layaway Plan, and book your vacation package for only $175 down! You can see all of Get Away Today’s vacation packages online, or give their helpful agents a call at 855-GET-AWAY. Remember to tell them My Book a Day sent you, and use my code BookaDay to save $10 off your vacation package. All pictures courtesy of Disney Parks Blog. Is a Disney Cruise Worth the Cost? A Disney vacation can be a wonderful way to make magical memories for kids and adults alike. There’s no question that the Disney resorts have a variety of attractions, rides and food that appeal to everyone. 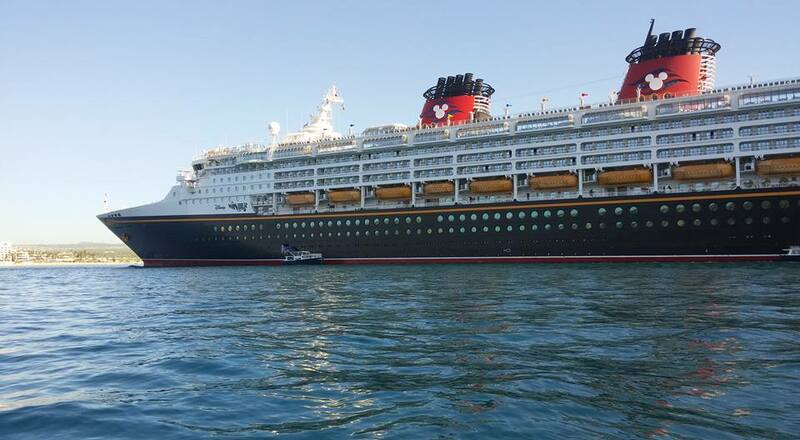 But, have you ever considered a Disney cruise? If you’ve ever wondered if a Disney cruise is worth the cost, I’m here to help! I’ve teamed up with the experts at Get Away Today to give you some insight into why Disney cruises are perfect for your next vacation. It’s all the fantastic elements of a Disneyland vacation, with the added bonus of different destinations, cultures and excursions! First of all, did you know Get Away Today already has 2020 travel itineraries for Disney Cruise Line? This means you can start looking at all the details now and plan for your vacation early to get the best deals. To me, a Disney cruise is worth the cost because of all the included amenities, the attention to detail and the customer service on Disney Cruise Lines. 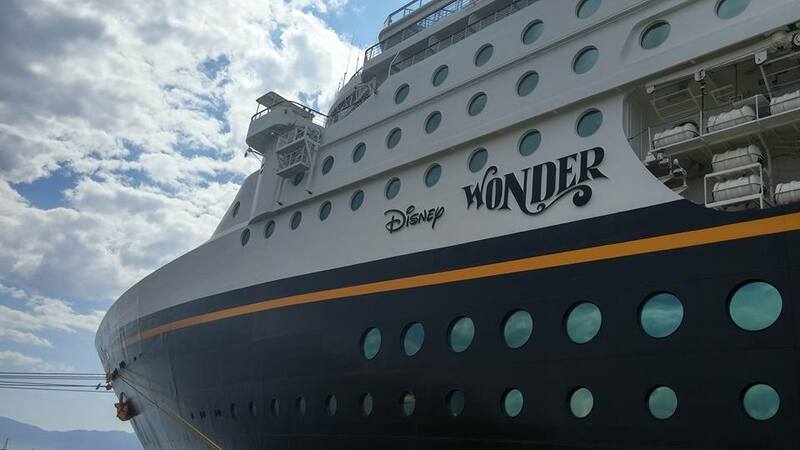 There are only four ships in the Disney Cruise line fleet: Disney Wonder, Disney Magic, Disney Dream and Disney Fantasy, which means each one truly excels in its theme and services. A Disney cruise offers family-friendly, Broadway-caliber shows on board. The entire family will be delighted by familiar songs, characters and stories on board any of the four ships in the Disney Cruise Line. Disney also has fireworks at sea, which is truly a mesmerizing experience. Just imagine not only seeing the fireworks display in the starry night sky, but reflected on the water as well. It’s sure to dazzle! Another amenity exclusive to ships in the Disney Cruise Line is having character experiences. Your chances of interacting one-on-one with a Disney Character on board is much greater than at the Disneyland Resort, which makes a Disney cruise even more magical. Another little magical touch are Magical Portholes found in select staterooms on the Disney Dream and Disney Fantasy ships. Here, you can find motion-activated portholes that will show a live stream of the ships’ views, plus animated visits from some of your favorite Disney characters. The Magical Portholes are so popular, the rooms often sell out faster than rooms with actual portholes! Select staterooms also have upgraded bathroom layouts, making it easier than ever for families to get ready together for a day at sea. Disney cruises have a kids club for ages 3+, as well as hangout spots for kids ages 12+. All passengers must undergo a background check before sailing, and once a ship leaves port, no adults are allowed in the kids club areas. A cruise cast member can even pick up kids from dinnertime shows and take them back to the kids club in order to let older guests continue to enjoy the performance. Free room service is included in the cost of a Disney cruise, and Disney Cruise Line is the only one that offers unlimited soft drinks and juice at no additional charge! 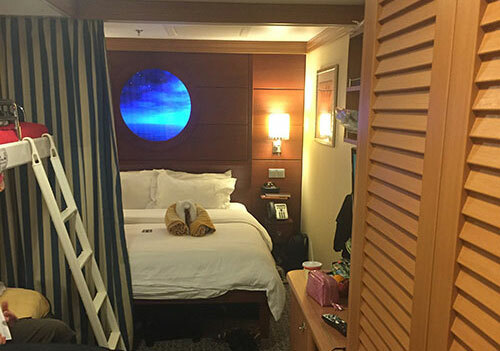 You might be wondering why anyone would stay in their stateroom and order room service. Well, it’s actually a wonderful option to have if anyone needs a nap and mom or dad gets hungry! It’s also suggested that guests take advantage of room service to create memories of a nightly treat together while gathered around, talking about the highlights of the day. Another thing that makes a Disney cruise worth the cost is cast members stay with you no matter where you dine in the evenings. This gives you an unbeatable customer service experience as your family rotates to the various restaurants on board the ship! Even the food on a Disney Cruise is touched with Disney magic. Think Mickey-shaped serving ware, waffles and more! It’s sure to entice even the pickiest of travelers. As mentioned, there are four themed-ships in the Disney Cruise Line fleet. And depending on the itinerary you choose, you could experience a variety of themes and destinations on your Disney cruise. Some itineraries may include a Marvel or Star Wars day at sea – where Cast and guests alike are encouraged to dress up and immerse themselves fully in the theme. Plus, during holidays, guests can trick-or-treat on board, or, celebrate the joy of the Holidays on the sea. You could set sail to the Caribbean, Alaska, Europe or even Hawaii on a Disney cruise. There are so many options, and you’re welcome to contact the cruise experts at Get Away Today to find out more about Disney cruise itineraries. I’ve only highlighted a few of the reasons why a Disney cruise is worth the cost, but there’s so much more you can find out with Get Away Today! Find them online at getawaytoday.com or call the cruise agents at 877-510-2929. What’s Happening at Disneyland in 2019? 2019 is going to be one of the BIGGEST years at the Disneyland Resort and it’s no surprise as to why. 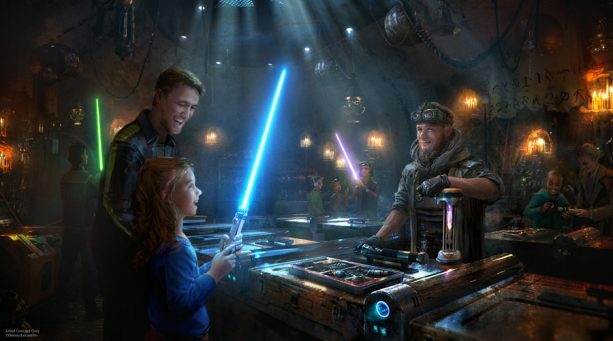 With several seasonal events and Star Wars: Galaxy’s Edge coming in the summer, guests will be able to experience more magic than ever before. However, if you’re not up to date on what’s happening at the Disneyland Resort, no worries! I’ve teamed up with my friends at Get Away Today to give you a guide of what’s happening at Disneyland in 2019. As part of the Get Your Ears On: A Mickey and Minnie Celebration, you can also enjoy the first ever Valentine’s Month at the Disneyland Resort. From January 22 – February 18, 2019, you’ll be able to find love and magic around every corner. While not much has been announced for this event yet, we do know that there will be adorable décor and special food and beverage options. Plus, you can put your investigative skills to the test during Minnie’s Valentine Surprise, a park-wide scavenger hunt. Ring in the new year at Disney California Adventure Park! From January 25 – February 17, 2019, you can join Mulan, Mushu and other Disney pals in celebrating the Lunar New Year. Here, you can expect to find unique entertainment, such as Mulan’s Lunar New Year Procession, traditional Asian food, festive décor, family-friendly crafts and commemorative merchandise. This event has quickly become a fan-favorite, so be sure not to miss it if you’re traveling during this timeframe! If you just can’t get enough Disney, you might want to look into attending an After Dark event at Disneyland. These special ticketed events allow you to experience Disneyland Park after closing. Plus, these themed-events include exclusive entertainment, commemorative merchandise and décor. This year, guests can enjoy Sweethearts Nite on February 7, 2019 and 90’s Nite on March 7, 2019. During Sweethearts Nite, you’ll have heart eyes all night long. With love song-themed dance parties, encounters with famous Disney couples and immersive photo opportunities, this is going to be a Valentine’s celebration you’ll never forget. Plus, who doesn’t want to spend a night in Disneyland with your sweetheart? At 90’s Nite, guests will be able to go back in time and experience nostalgic memories of the 90’s. In addition to dressing in your ‘90’s gear, you can attend a special ‘90’s-themed fireworks show, musical entertainment, decade-inspired food and receive a commemorative fanny pack. Talk about a throwback Thursday! Because these events are so popular, I’d recommend purchasing your tickets sooner than later. If all of these events weren’t enough, you can also enjoy the beloved Food & Wine Festival at Disney California Adventure! From March 1 – April 23, 2019, you can eat your way through several food and beverage kiosks inspired by California’s vibrant cuisine. In addition to all of the deliciousness, you can also enjoy kid-friendly “cooking” experiences, family-friendly seminars, live musical performances, culinary demonstrations by celebrity chefs and so much more. My mouth is watering just thinking about it! The most anticipated event of the last few years will FINALLY arrive in summer of 2019. 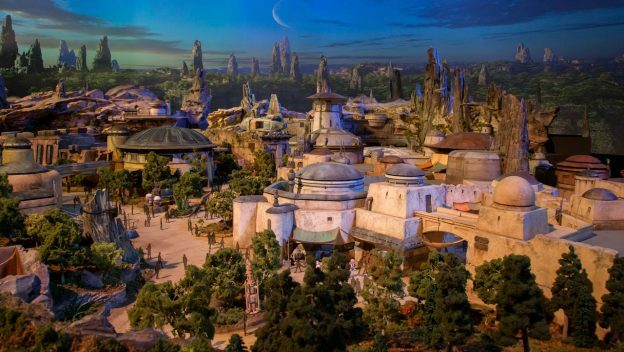 Star Wars: Galaxy’s Edge is going to be the most immersive land that Disney has ever created. 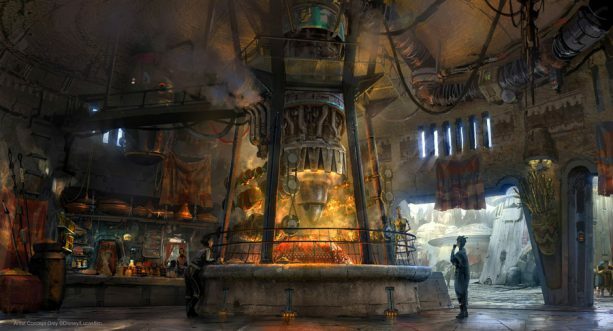 With two new attractions, dining locations and interactive experiences, Star Wars: Galaxy’s Edge is truly going to be out of this world. While there is no official opening date yet, I recommend booking your summer 2019 Disneyland vacation ASAP if you want to experience it. 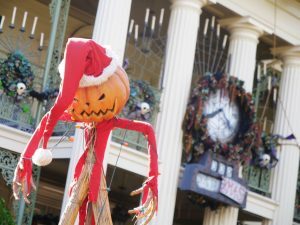 Of course, Halloween Time and Holidays at the Disneyland Resort are always highlights of the entire year. Whether you want to join in on the frightful fun or experience the “Merriest” Place On Earth, these are always fun events that the entire family will enjoy. 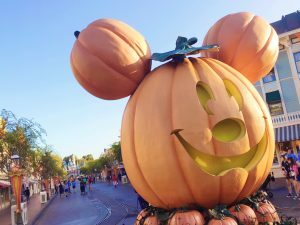 If you’re wanting to travel during Halloween Time at the Disneyland Resort, you’ll want to book your trip sometime from mid-September – October 31, 2019. 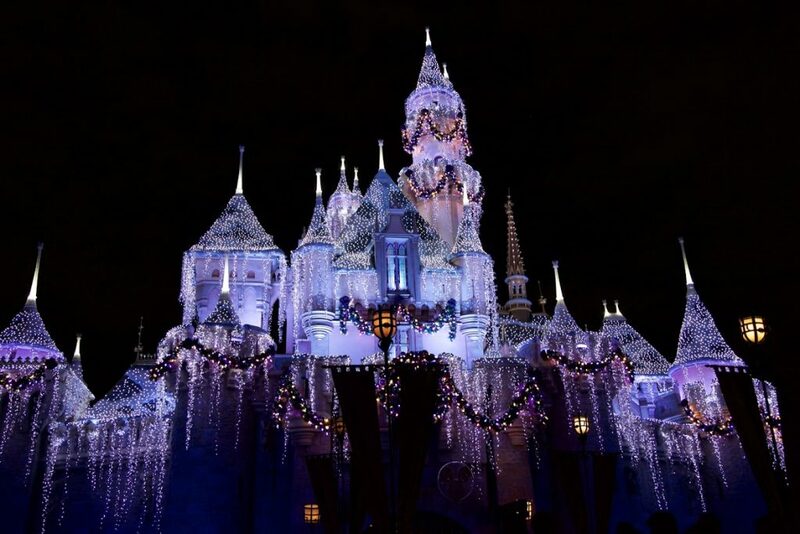 However, if you want to attend Holidays at the Disneyland Resort, traveling during mid-November, 2019 – early-January, 2020 will be your best bet. Luckily for you, my friends at Get Away Today can get you the best price on your 2019 Disneyland vacation! If you’re planning on traveling from now – May 23, 2019*, you can save up to $111 per ticket! Yes, you read that right! Plus, when you combine this ticket special with their hotel deals, you can save hundreds on your next vacation. However, no matter when you plan to go, Get Away Today offers their Best Price, Best Service Guarantee. If you find a better price elsewhere, they’ll not only match it, but beat it! Because of all of the magic that’s happening during 2019 at the Disneyland Resort, you’ll want to book your vacation as soon as possible. This way, you won’t have to worry about sold out hotel rooms or increased rates. Don’t have the money to pay for everything in full? No problem! Get Away Today offers an interest-free Layaway Plan for just $175 down. You can make as many payments as you want, whenever you want, just as long as everything is paid off five days before you travel. So, what are you waiting for? 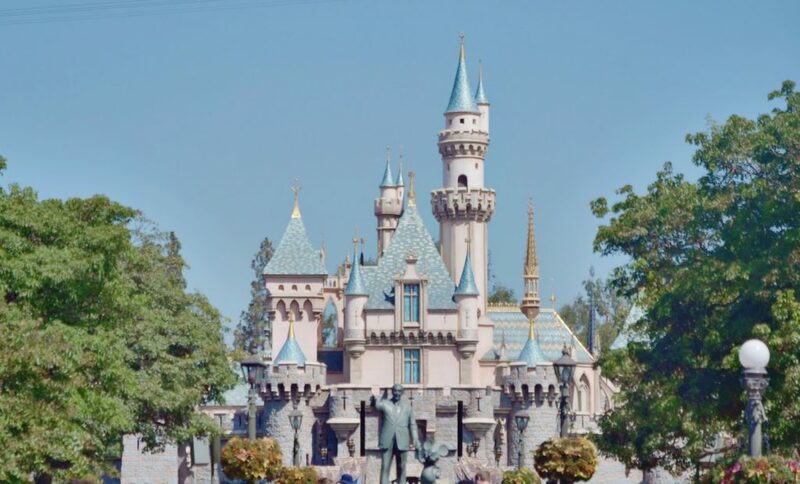 To book your 2019 Disneyland vacation, visit getawaytoday.com or call 855-GET-AWAY to speak to a travel expert directly. Don’t forget to use promo code BookaDay for an additional $10 off your vacation package. Let them know that My Book a Day sent you! While I can’t believe it’s already time for holiday parties, Christmas shopping and family gatherings, I am thrilled that Holidays at the Disneyland Resort is here! Starting November 7, 2018 until January 6, 2019, guests who visit both Disneyland Park and Disney California Adventure Park will be able to experience the holiday season like never before. With festive décor, dazzling entertainment and seasonal ride overlays, you won’t want to miss out on any of the fun. Because of this, I’ve teamed up with my friends at Get Away Today to give you my top 5 can’t miss things during Holidays at the Disneyland Resort. If you haven’t booked your holiday vacation package yet, there is no need to fret! 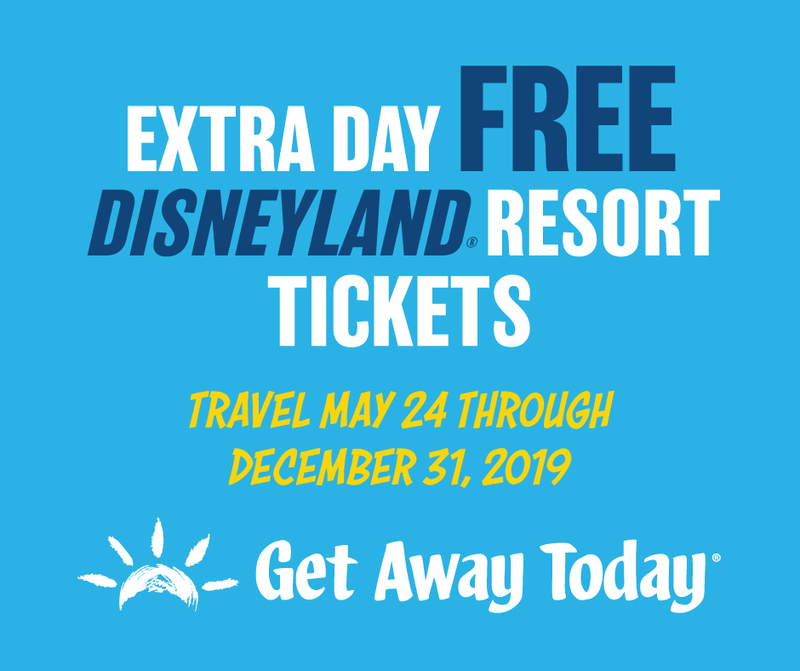 You can still take advantage of Get Away Today’s discount Disneyland tickets and hotel specials for the holiday season. Plus, if you haven’t thought of the perfect Christmas present yet, who wouldn’t love a Disneyland vacation? Get Away Today’s interest free Layaway Plan can make that possible. For just $125 down, you can book your dream trip to The Happiest Place on Earth. One of my favorite parts about Holidays at the Disneyland Resort are the seasonal ride overlays. Here, you’ll be able to see some of your favorite attractions transform into festive rides. In Disneyland Park, you can experience both Haunted Mansion Holiday and “it’s a small world” Holiday. At Haunted Mansion Holiday, you’ll be able to see Jack Skellington and his friends from Halloween Town takeover Haunted Mansion. With appearances from beloved characters, familiar tunes and new scenes, you won’t want to miss your chance to enjoy all of the not-so-scary fun. At “It’s a Small World” Holiday, you can experience the holiday season with celebrations from around the world! In each country you visit, you’ll be able to hear traditional holiday music and see sparkling lights will surely get you in the holiday spirit. However, the joyful fun doesn’t stop in Disneyland Park! 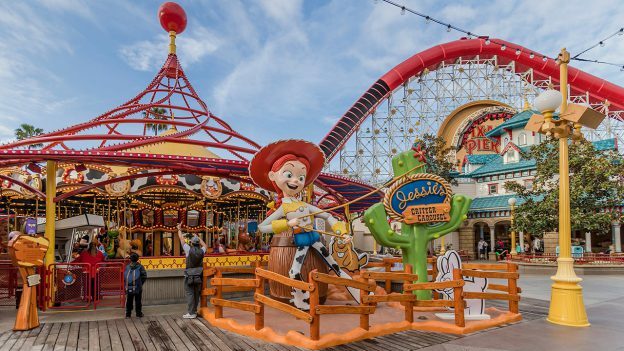 In Disney California Adventure Park, you can also experience festive ride overlays. When you visit Cars Land during the holidays, you’ll be able to experience both Luigi’s Joy to the Whirl and Mater’s Jingle Jamboree. With new seasonal music, you can dance and sing along to original tunes! 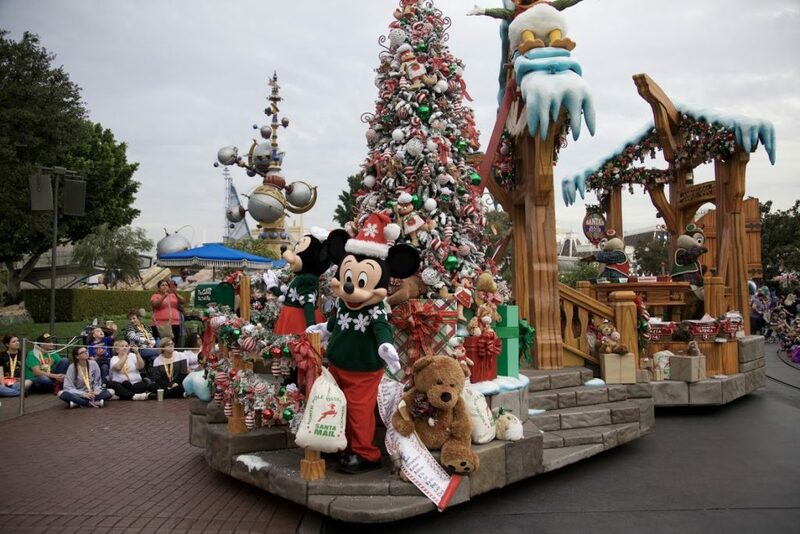 It’s no surprise that Holidays at the Disneyland Resort is one of the most popular times of year to visit. However, don’t let that alarm you. There are so many ways to beat the crowds and MaxPass is one of them. If you haven’t heard of MaxPass, it essentially allows you to reserve FastPasses directly from your phone. Not only will you be able to avoid running around the park, but you’ll also save SO much time. While it is an extra $10 per person/day to use it, I think it’s totally worth every penny. Plus, it comes with PhotoPass for the entire day too! This means you’ll have your perfect Christmas card picture in no time. The ¡Disney Viva Navidad! Street Party Parade in Disney California Adventure is one of the most underrated parades at the Disneyland Resort. While it only comes out around the holiday season, this festive celebration is fun for the entire family. Here, you can celebrate different cultures with song, dance and lively music. 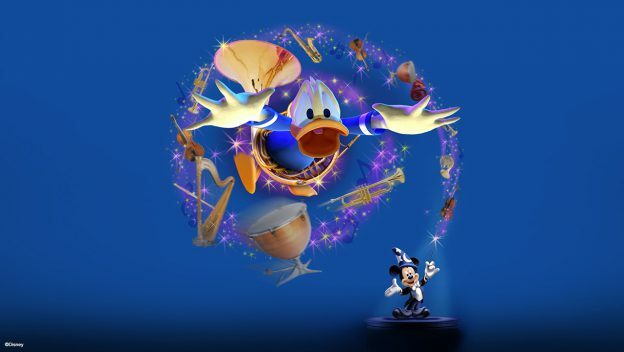 Plus, you’ll be able to see appearances from Mickey, Donald and more! The best part? You don’t have to save a spot for this parade. All you need to do is show up to the Paradise Bay area about 5 minutes before the show starts and you’ll have a great view! If you’re like me, your favorite part of the holidays is all of the delicious food. Luckily, Holidays at the Disneyland Resort is no exception. In addition to all of the delicious churros and sweet treats, you’ll want to check out the Festive Foods Marketplace in Disney California Adventure. Here, you can try delectable eats and drinks inspired by different holiday traditions from around the world. Experience everything from Grandma’s Favorites to Spicy Celebrations. With so much to choose from, you’ll want to have enough time to taste it all. Last, but certainly not least, make sure to catch the “Believe… in Holiday Magic” Firework show in Disneyland Park. Not only will you enjoy a firework spectacular, but you’ll also see holiday scenes from some of your favorite Disney films, alongside nostalgic holiday music. The best part is that you’ll see it snow on Main Street, U.S.A. Pretty magical, right? As you can see, Holidays at the Disneyland Resort have so much to offer. So, what are you waiting for? To book your holiday vacation, visit getawaytoday.com or call 855-GET-AWAY to speak to a travel expert directly. Plus, don’t forget to mention promo code BookaDay for an additional $10 off your hotel and tickets vacation package. Happy holidays! Hey guys, it’s Friday! Finally! Did you know I write articles for a family travel blog? I write for Tips for Family Trips. Usually an article a month. 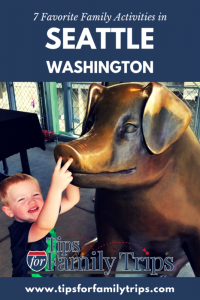 This month I’m talking about the trip our family took to Seattle. Our family loves to travel together. It’s such a bonding experience and a huge source for family memories. 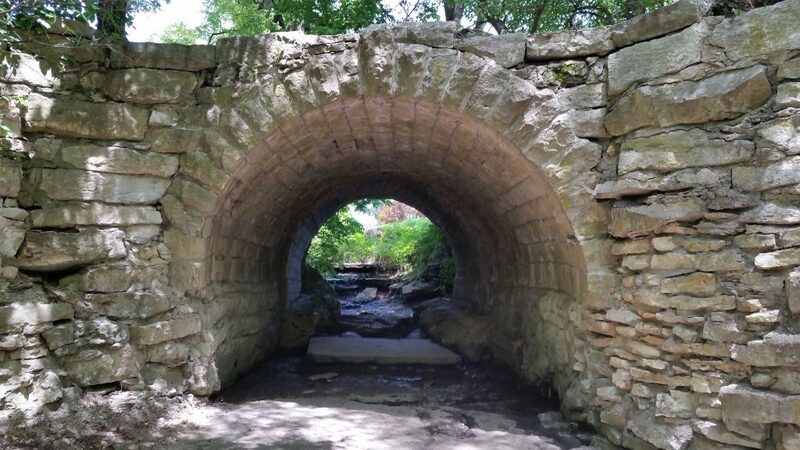 There aren’t many days that we don’t talk about something travel related. Whether it’s something about where we want to go next, or laughing about something that happened on one of our trips. What do you think about family travel? Is it something that’s a big thing for your family? Or something that you don’t do? Do you want to do more of it? Where are you going next???? That’s the big question for our family. And it’s one that hasn’t been answered yet. You can leave me a comment here answering these questions or checkout my Facebook or Instagram and leave the answer there. I’d be really curious to see just where everyone is planning to go. Maybe we’ll go there next. I’m super exited to let you know, that not only do I have a special article on Disneyland at Halloween today, but my friends at Get Away Today also have a fantastic Halloween Deal Going on at the same time! Adults at kid’s prices until Monday only, so make sure to grab your tickets! Check out the details and make sure you read all about Halloween at Disneyland this year! Whether you’re a fan of Halloween or not, I think we can all agree that Halloween Time at the Disneyland Resort is truly filled with frightful fun. With festive décor, seasonal treats, themed ride-overlays and character appearances, Disneyland knows how to throw a Halloween celebration. This is why I’ve teamed up with my friends at Get Away Today to help you plan the most terrifying trip yet! If you already have a vacation planned or are thinking about traveling during Halloween Time this year, keep reading to find out everything you need to know about 2018 Halloween Time at the Disneyland Resort. If you’re a fan of the Nightmare Before Christmas movie, then you’re sure to love Haunted Mansion Holiday. 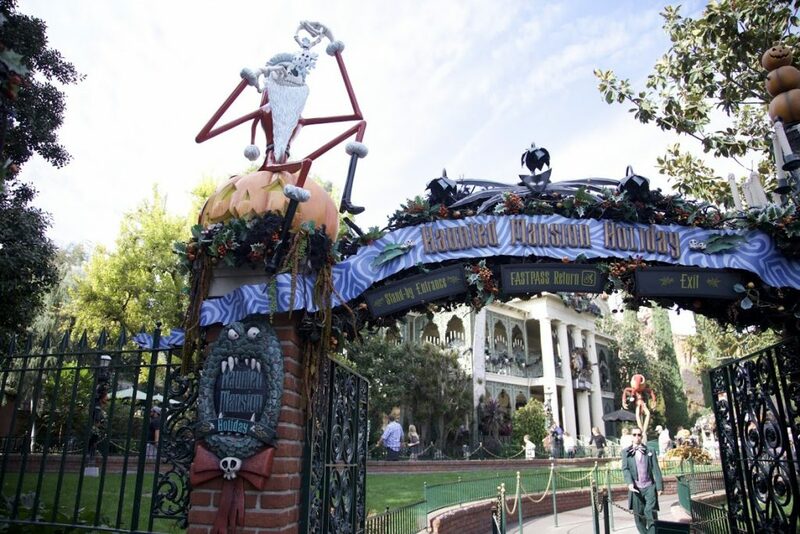 Jack Skellington and his Halloween Town crew take over this attraction to turn it into a festive nightmare. With new music, effects and character experiences, this ride is full of fun for the entire family. Because this ride-overlay is so popular, I would highly suggest getting a FastPass for this attraction. This beloved attraction also gets a makeover just in time for the spooky season. Space Mountain Ghost Galaxy lets you climb aboard a rocket racing through the haunted cosmos in outer space. With eerie encounters with star fields, meteors and a phantom force, you’ll want to brace yourself for this hair-raising ride. Since this attraction is a little scarier than other ride-overlays, I would suggest riding it first before bringing along your little ones. In Cars Land, you’ll be able to find Luigi’s Rollickin’ Roadsters transform into Luigi’s Honkin’ Haul-O-Ween. At this attraction, you’ll find frightfully fun music and dreadful dancing for the ultimate Halloween bash! This Halloween ride-overlay is perfect for everyone of all ages. At this Halloween hoedown, you’ll be able to boo-step to a haunted harmony with Mater and his friends. Here, you’ll be able to sing along to catchy tunes like “Welcome to Radiator Screams” and “Monster Truck Smash.” Young vampires and witches alike will love this seasonal ride-overlay. Ever since Guardians of the Galaxy: Monsters After Dark debuted last year, it has easily become one of the most cherished Halloween attractions. What’s unique about this ride-overlay is that you’ll only be able to experience it once it gets dark. During the day, you can help the Guardians of the Galaxy escape the Collector’s Fortress. However, at night, Groot accidentally gets left behind, so you and your friends need to go rescue him again. But, beware! Monsters and other ghoulish creatures lurk around the fortress when the sun goes down. To ensure you get to experience this attraction, we’d recommend getting a FastPass as soon as times become available for Guardians of the Galaxy: Monsters After Dark. Better yet, we’d suggest getting MaxPass to make it easier to snag a time. If not, you’ll be looking at waiting for about an hour or more for this holiday ride-overlay. In addition to the fun, you’ll want to try the spectacular food items they have available during Halloween Time at the Disneyland Resort. While they haven’t released their official list of eats quite yet, we’ve seen delicious treats like butterscotch flavored beignets, specialty caramel apples, haunted macarons, a Bat Sundae and more! Trust us, these snacks are so good you’ll scream! Plus, you won’t want to miss out on all the spooktacular swag that’s offered during the celebration. Grab an Oogie Boogie Premium Popcorn Bucket, Cauldron Premium Popcorn Bucket, Poison Apple Glow Cube, Green Poison Apple Stein and lots more. Don’t forget to get limited-time Halloween-themed Minnie Ears either! You also won’t want to forget to get your picture with Mickey and his pals dressed up in Halloween Time garb. While their costumes change every year, it’s fun to see your favorite characters celebrate the occasion. Plus if you’re lucky, you can catch infamous Disney villains lurking around the park during Halloween Time too. If you can’t get enough of the frightful fun, you’ll want to consider buying tickets to Mickey’s Halloween Party. Although it is an additional cost to get in, this Halloween party is one you’ll never forget. Here, you can enjoy exclusive entertainment like the Frightfully Fun Parade, Halloween Screams Fireworks, appearances from vicious villains, and trick-or-treat stations around every corner. Since it is a separate ticketed event, you’ll also be able to ride some of the most popular attractions without a long wait! The best part? You can dress up in your favorite Halloween costume while experiencing all of the fun. To ensure that you don’t’ violate the Disneyland Resort’s costume guidelines, we’d recommended checking their website beforehand. For the most up-to-date pricing and availability for Mickey’s Halloween Party, be sure to visit Disneyland’s official website directly. If you aren’t attending Mickey’s Halloween Party, don’t fret! 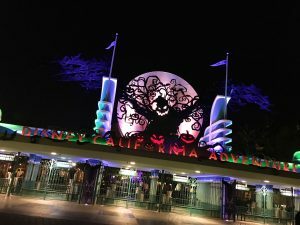 Like I mentioned before, there is SO much to experience during Halloween Time at the Disneyland Resort. However, I would highly recommend purchasing Park Hopper Tickets if you’re traveling during September or October. Since Disneyland Park shuts down early for Mickey’s Halloween Party, it’s nice to be able to head over to California Adventure Park for the remainder of the night. 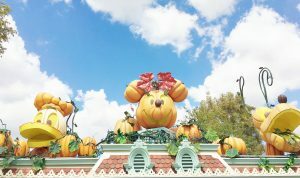 If 1-Park per Day Tickets are your thing, just make sure you plan out your trip accordingly, so you aren’t in Disneyland Park on the night of Mickey’s Halloween Party. No matter what tickets you choose, you’re spell-bound to have a wonderful time during Halloween Time at the Disneyland Resort. If you haven’t booked your spooktacular trip, make sure you book with Get Away Today. 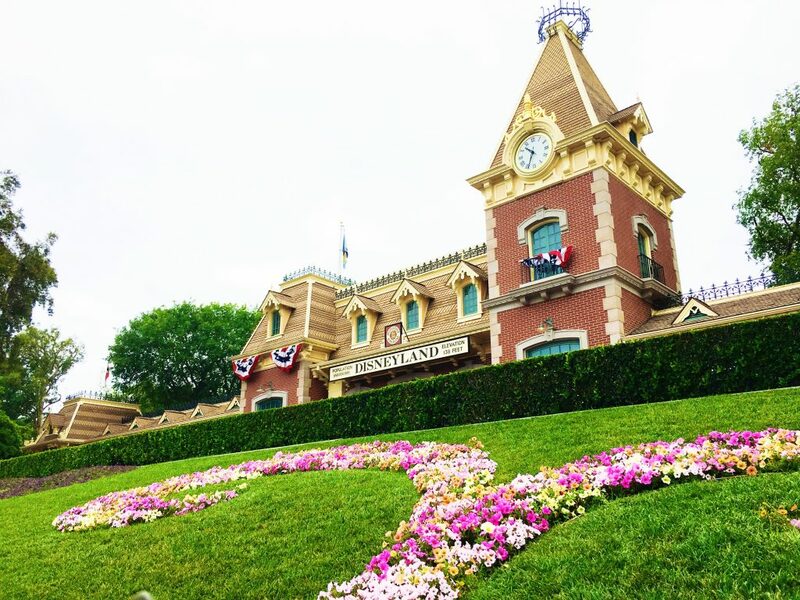 With discounted Disneyland tickets, hotel specials and a flexible Layaway Plan, traveling to The Happiest Place on Earth is more affordable than ever. To book, visit getawaytoday.com or call 855-GET-AWAY to speak to an agent directly. Don’t forget to mention promo code BOOKADAY for an additional $10 off your hotel and tickets vacation package. Let them know that My Book a Day sent you! Save up to $19 per person! This is a great deal, but it’s only valid for a week. Make sure you grab your tickets right away!